This weekend has served me sheer elation, sentiment, pride and giggles. 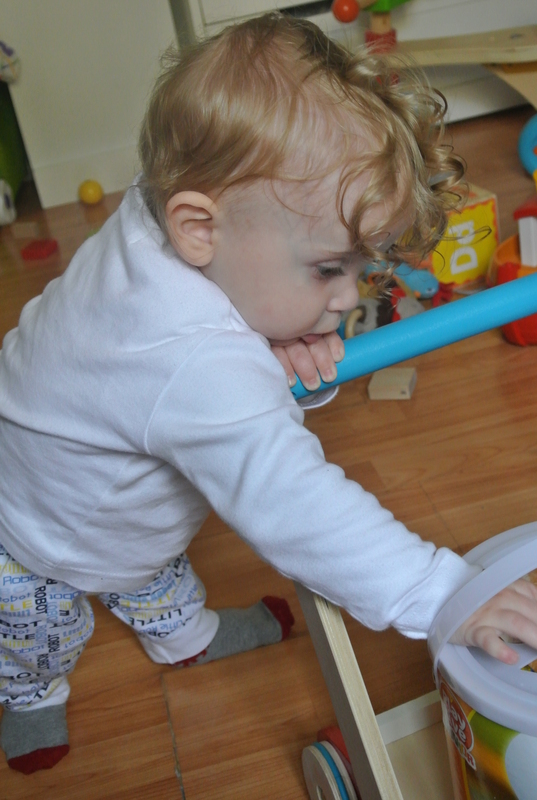 These past few weeks H has been getting a lot more steady on his feet and as any other child, he progressed from standing for a couple seconds to managing to get up with the support of the nearest, toy, sofa, chair etc… I was hopeful. And seeing his utmost determination to accomplish many other tasks, I was confident… but the voices in my head kept creeping up and telling me otherwise, and deep down there was this constant nagging that I couldn’t get rid of. 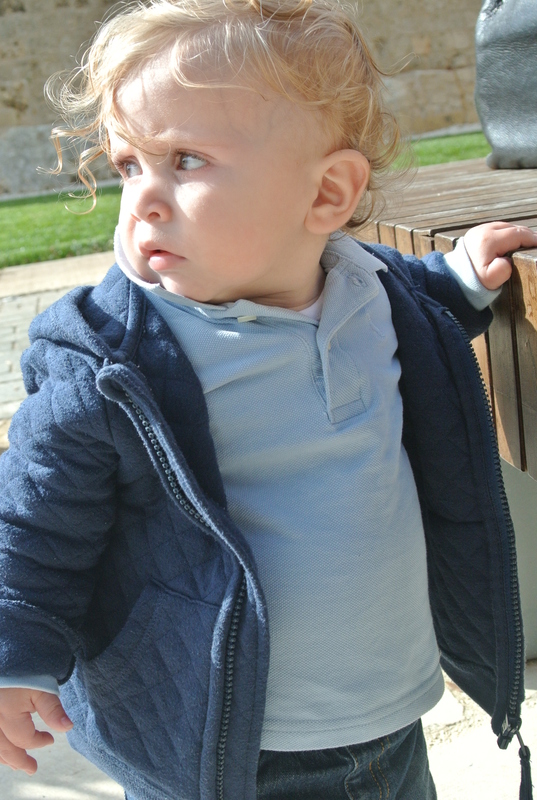 Sometime after he was born, while he was still in the NPICU, during one of the painful discussions with his paediatrician, we were told that it was likely that H would not walk. This, amongst an avalanche of so many other things, was not something to deal with easily, especially not in the first few weeks of your child’s life. This weekend, H has taken many steps on his own and everyday becomes more and more steady…he is still wobbly and swaying like a ship in stormy waters, but he is walking, and the joy that I feel is in explicable. It happened so randomly, because that is exactly how these things happen… no amount of forcing or pushing ever amounts to anything with a child. He was holding on to me as he stood on his feet and casually let go and stepped… one, two, three… I counted, and counted, seven, eight before he plopped to the ground. 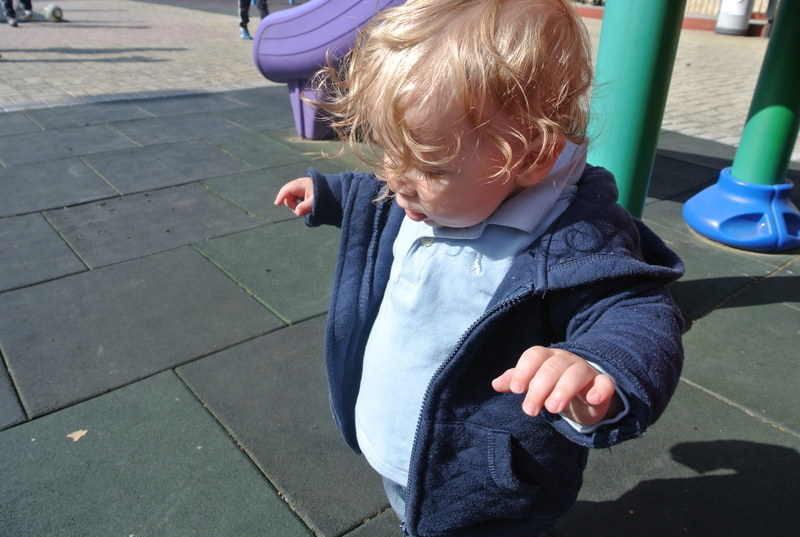 I held my composure and helped him up to his feet again and sure enough he made those steps again….if he wasn’t trying to run most of the time he would be more stable and manage to make many more steps, but he is so keen to run before he walks. Today is also a day for celebration and although he is still young and cannot celebrate, R and I are having a celebratory glass of wine, or two…It was on this day one year ago that H was finally discharged from the hospital and came home. Now, looking back, I don’t really know how I got through it and when things are dark and dreary, I think of that time, it has given me new strengths. So cheers, my dearest H, I will never forget the day you were born, and nor the day you came to home. Going about his daily business of play, he managed to insert a triangle block into his undershirt. I was startled when I picked him up and felt it through his clothes, as anyone can imagine. My funny boy, always making mommy giggle!